Research in Computer Vision and Pattern Recognition areas aim to automatically classify a given image or signal, such as the object in an image. A brain-robot interface system developed at the SPIS and HMI Laboratories. A radar image produced by an algorithm developed at the SPIS Laboratory. image analysis and pattern recognition for defense applications based on airborne and spaceborne remotely sensed data such as synthetic aperture radar imagery. 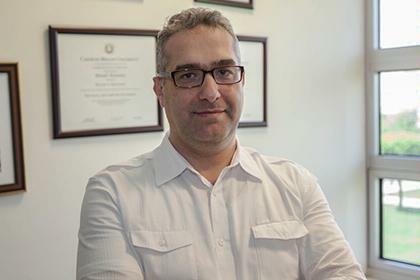 Dr. Çetin and his students’ research has received several best paper awards in international journals, including the IEEE Signal Processing Society Best Paper Award; the Elsevier Signal Processing Best Paper Award; and the IET Radar, Sonar and Navigation Premium Award.